With all the hoo ha about overpriced advent calendars right now, it’s nice to find an offer that doesn’t feel like it’s trying to squeeze you for every penny. 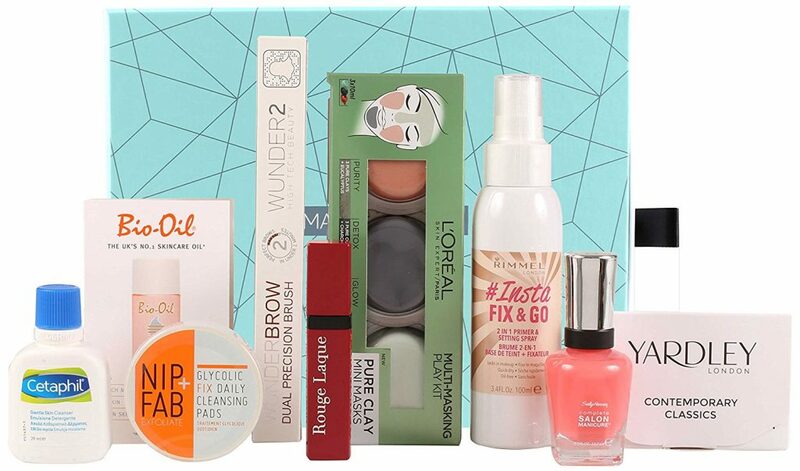 And Amazon have no less than three free beauty box offers on the go right now. To be totally accurate, they’re free-ish, since you do have to spend to receive them. But in the case of two of them you then get the price back as a credit for future purchases. And the other one is a gift with purchase, so that’s just an added bonus on to any shopping you were already planning to do. Elemis Hydra-Nourish Night Cream 15ml – RRP for 20 ml product: £19.80. bliss Triple Oxygen Instant energizing Mask 15ml – RRP for 100 ml product: £42.00. Full size Gatineau DefiLIFT Lip care (a plumping lip balm) 10 ml – £30.00. 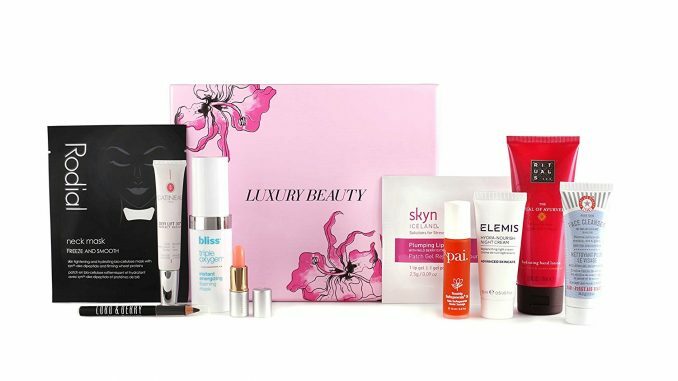 skyn ICELAND Plumping Lip Gels x 1. Pack of 5 RRP: £36.00. This box is really going for it on the fat lip front. FIRST AID BEAUTY Face Cleanser 28.3 g – RRP of the 142 g product: £14.00. Jane Iredale Just Kissed Lip and Cheek Stain1.4 g – RRP for 3 g product: £22.00. Rodial skin tightening Neck Mask x 1 – RRP of pack of 8: £56.00. Pai Skincare Organic Rosehip BioRegenerate Oil 10 ml – RRP for 30 ml product: £22.00. Contains 7 sample & full sized products. Not as exciting as the women’s boxes but hey lads, at least you still have the patriarchy. 1 x Wilkinson Sword Hydro Razor, 1 x deluxe sample of Fish Texturising Cream, 1 x deluxe sample of ManCave Caffeine Shampoo, 1 x deluxe sample of ManCave Lemon Shower Gel, 1 x deluxe sample of L’Oreal Mens Hydra Energetic, 1 x deluxe sample of L’Oreal Mens Hydra Energetic Shower Gel and 1 x BIC Flex 3 Comfort Men’s Razor 1 Pack. The catch with offers 2 and 3 is that you have to be an Amazon Prime member to be eligible. And that means a full Prime membership – I have the Prime Video membership and it’s not giving me the deal. But you could always sign up for the free month’s trial of Prime to be eligible – just make sure you cancel it before the month is up if you don’t want to continue.